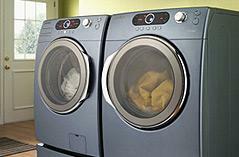 Is your Dryer on the Blink? Why Clean My Dryer Vent? The main reason for a Dryer to stop performing as well as you remember is that the vent (or exhaust) line accumulates lint until it is finally clogged up. This reduces Dryer efficiency and can cause dryer vent fires. Get your dryer vent cleaned today. A clean dryer vent is not only essential to the proper operation of your appliance, it goes a long way to prevent Dryer Vent Fires. We use the same equipment and procedures to clean dryer vents as is used to clean Heating and Air Conditioning ductwork. In fact, many customers elect to have their Dryer Vents cleaned at the same time. 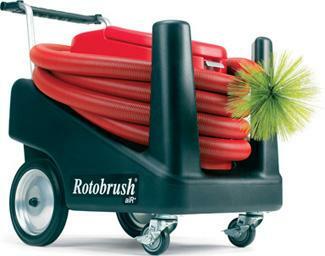 “Click” on the ROTOBRUSH image at the right to see the Duct Cleaning Video. The Allergy Shop is has been servicing the Low Country for over 20 years. When it comes to cleaning any part of your home in the attic or air duct vents or Dryer Vent and other Allergy problem, give us a call today.